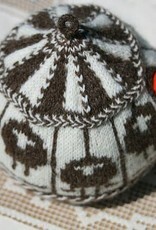 This jolly tea cosy features a carousel of Shetland sheep and offers a small sampler of many of my favourite hand-knitting techniques: stranded colourwork, steeks, vikkel braids, corrugated ribbing, i-cord and centred double decreases. 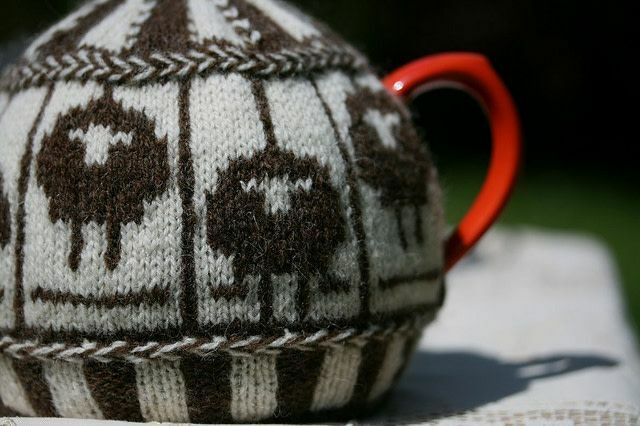 Practice on your teapot before trying these things out on a sweater! Required experience: Advanced beginner. 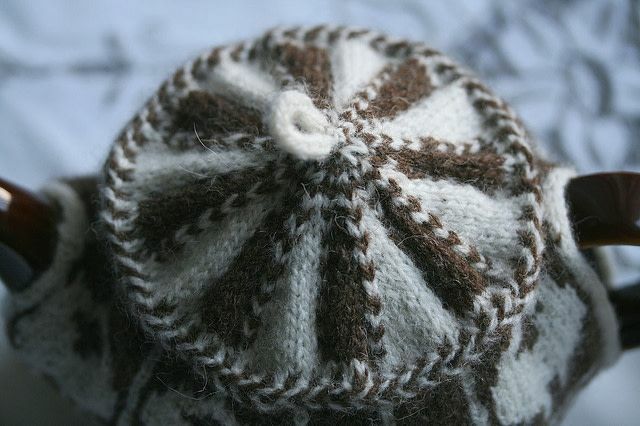 Student should already know how to knit, purl, decrease and increase and how to knit in the round. 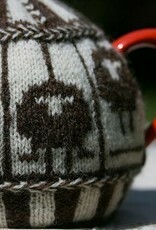 stitch markers of two types, a and b. 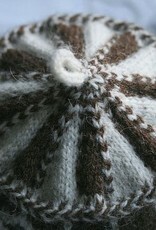 Waste (sock) yarn in contrasting colour. US C / 3mm crochet hook, tapestry needle. 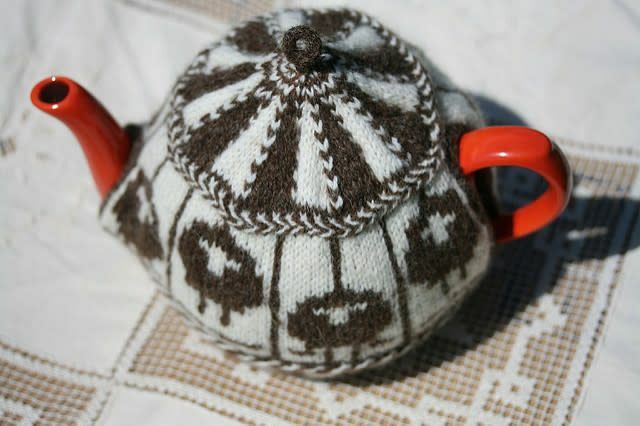 And, of course (essentially) a teapot!